Time is precious during New York Fashion Week. My days started around 7am, ended around midnight, and were packed with nonstop activities. So part of my strategizing for NYFW was to maximize my time to shoot, edit, and post photos during the week. Instead of spending hours on my laptop editing each day, taking away from my valuable shooting/sleeping/travel time, I decided to divide and conquer my editing workflow into two camps: shots I needed to edit on my laptop (blogger and styled shoots), and ​shots I could edit on-the-go on my iPhone (street style and runway shots). This season, I decided to leave my laptop behind during the day to reduce the load I was carrying around (back, shoulder, and foot pain is a major issue for photogs during NYFW). Instead, I would only work on my laptop to edit in the mornings before I left for the day, or in the evening when I got back from events and shoots, cozied up in the coffee shop near where I was staying. I saved this time for more intensive edits that required Photoshop and my usual, custom made presets/actions I use for paid shoots, including my styled shoots and blogger clients. I added a bit of style to my workflow and laptop with Caseapp! 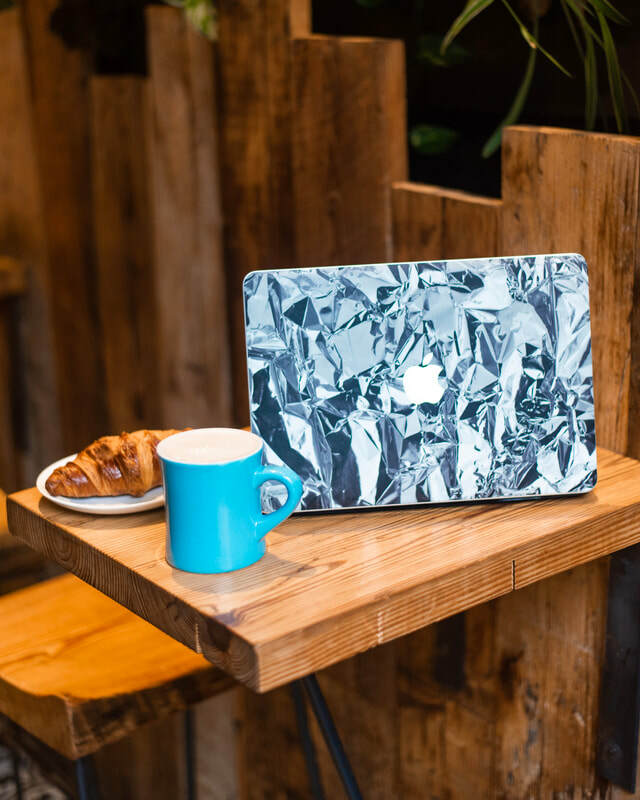 This awesome Aluminum laptop skin from Caseapp is so on trend for this season (hello metallics), and I love the optical illusion it creates. 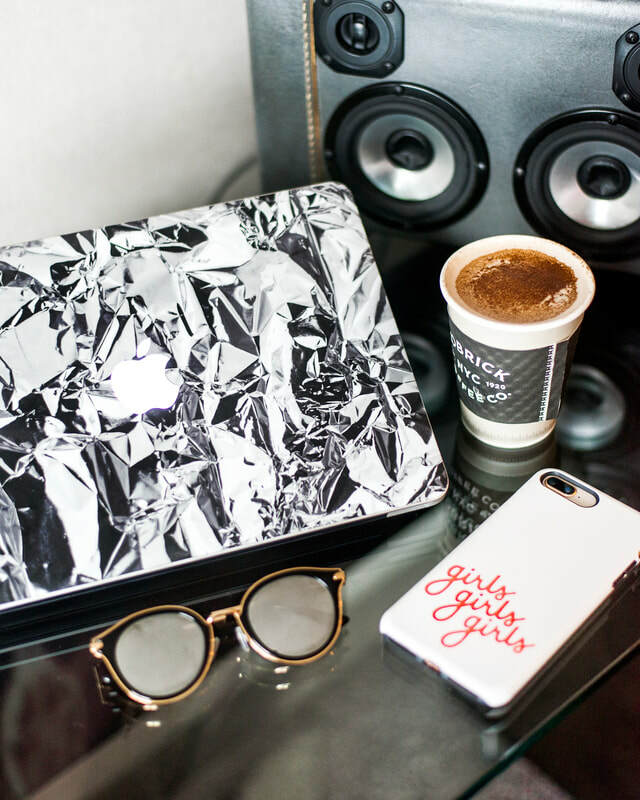 Disclaimer: Caseapp provided me with the laptop skin and phone case, but the opinions are completely my own. 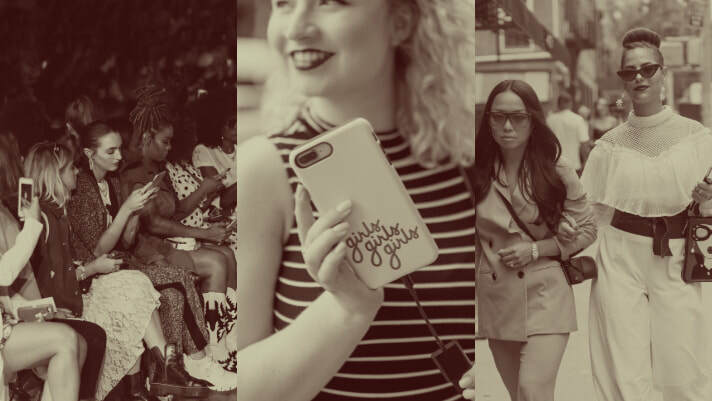 Surprisingly, I did the vast majority of my NYFW editing on my phone this season! I reserved this method for quick n dirty edits and not for paying clients, including street style and runway shots to share on my Instagram stories. It’s super simple and saves so much time as I could upload, edit, adn post anywhere and everywhere! On the subway, waiting for a show to start, between shows sitting on front stoops or coffee shops… really anywhere. This also allowed me to post street style shots immediately after shows so attendees could find and share their shots same day. Downloaded shots from my camera’s memory card to my iPhone using an SD card reader like this one from Amazon. PRO TIP: Since my Nikon D750 has two memory card slots, for quicker upload time I assigned one memory card to record RAW and the other JPEG, and uploaded the JPEGs to my phone to edit (again, quick n dirty). Uploaded the shots into Lightroom Mobile and used my NYFW mobile presets to edit (stay tuned about these!) In my experience, Lightroom Mobile maintains the highest quality of the images (even JPEG) and has the best adjustment tools. You can edit RAW files, copy and paste edits with ease, and batch export back to your phone. Thank you to everyone who recommended Lightroom Mobile to me! Once I exported the edited shots back to my phone, I posted them in my stories, tagging the influencers, models etc. I either connected with on the street, or found through hashtags and locations tags. I did this ALL FROM MY PHONE and did amazing edits for my shots, no heavy laptop to schlep around the city required! 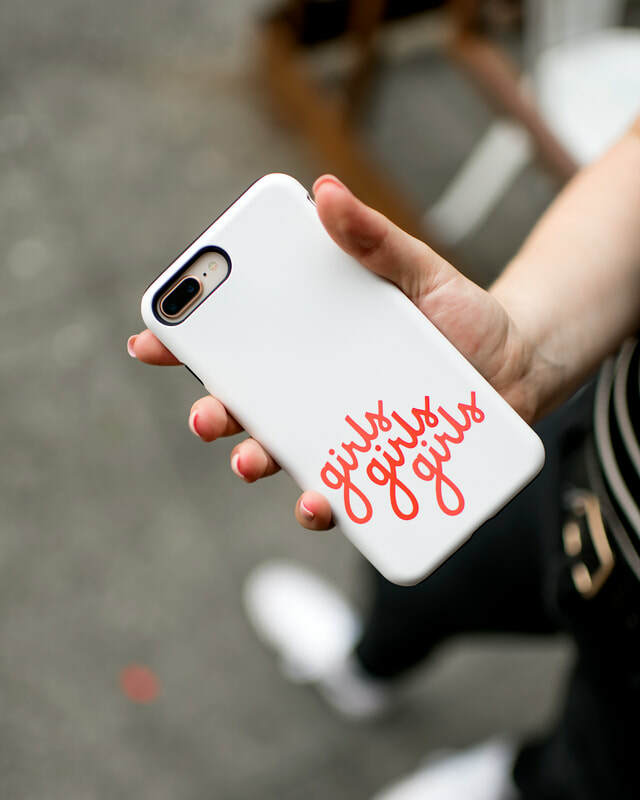 Caseapp also helped me add some fashion and flare to this part of my editing process with their Girls Girls Girls tough case, designed by Julia Lyko. Have checked out Caseapp? 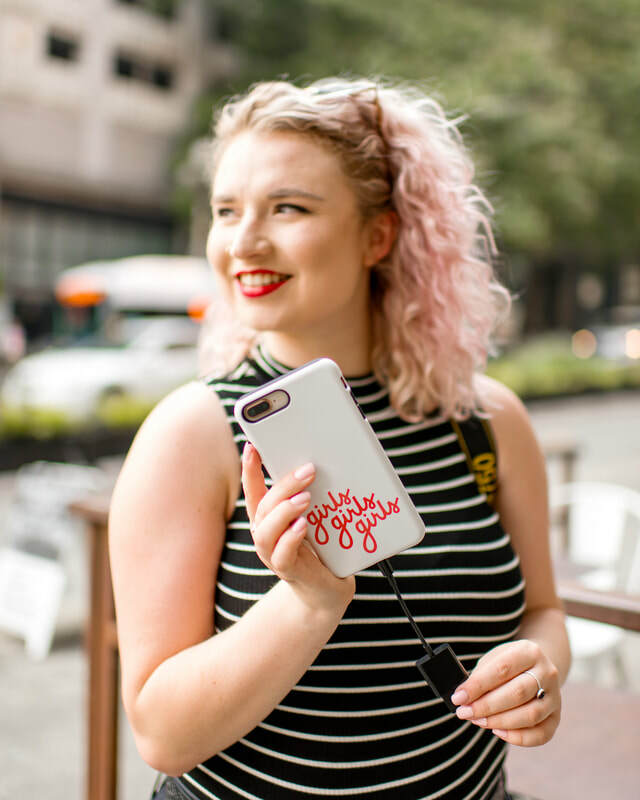 They have hundreds of designs by artists and designers from around the world for just about any piece of technology, but you can also customize your cases or skins with your own art, pictures, and text! Want a super snazzy case or skin of your own? Use code SCHANILEC20 until September 22nd for 20% off your order! 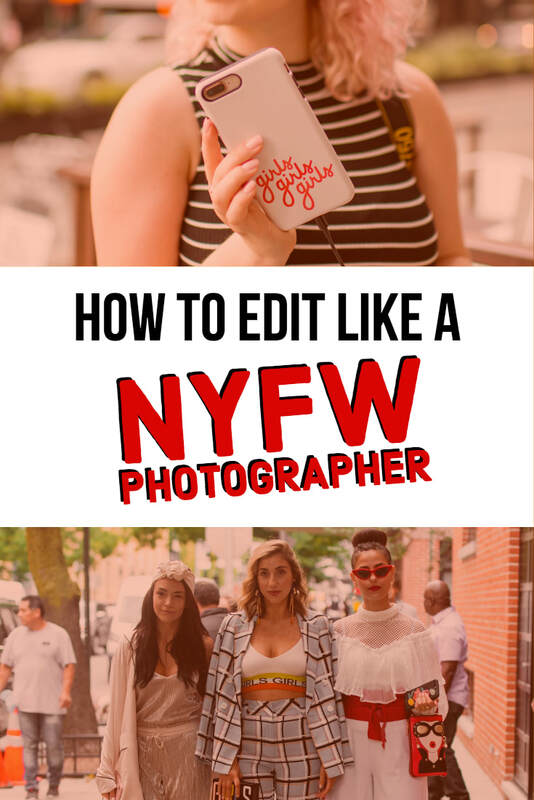 What else do you want to learn about being a NYFW photographer? Comment down below!